There is often some confusion about the name of this breed: many people think a labrador retriever is a mix between a labrador and a golden retriever. In fact, ‘labrador retriever’ is just the official name for a labrador. The labrador got its name from its place of origin (the province of Newfoundland and Labrador in Canada), although there some debate about the actual location. Human settlers as early as the 1500s brought working dogs with them to help out with their hunting and fishing tasks. These settler dogs were of different breeds, and popularly thought to originate from Britain and Portugal. The inbreeding that occurred between these different breeds resulted in the creation of a number of Canadian working dog breeds, one of which became known as St. John’s dog. The St. John’s dog is widely accepted as the breed which resulted in the creation of today’s labrador breed through further in-breeding with other working dogs. Settlers used the St. John’s dog for rope-work, retrieving loose fish, and helping to pull fishing nets from the water. The short hair was beneficial, because longer-haired breeds were more prone to getting large chunks of ice on their coats when conditions were freezing. In the early 1800s, the St. John’s dog was imported to England, and sparked the interest of the Earl of Malmesbury who asked for some to be imported so he could breed them for duck hunting. He donated some of the offspring to the 5th and 6th Dukes of Buccleuch who continued breeding them. The Buccleuch breeding program is widely considered to be the place of origin for today’s labrador retriever. The friendly, hard-working, and intelligent labrador has been the number one favorite dog breed in America for twenty-six years. Nowadays, labradors who have an official ‘job’ are a popular choice for assisting the disabled because of their placid nature and keen instincts. The German shepherd breed boasts a fascinating history. 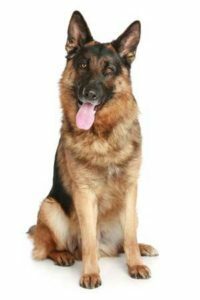 Max von Stephanitz, a native to Germany who was a member of the Phylax society, is credited with being the creator of the German shepherd. The Phylax society was formed to standardize dog breed in Germany. It only existed for a few years due to internal conflicts about how dogs should be bred. Stephanitz strongly believed that dogs should be bred for working. He continued his quest to find the perfect working dog, and discovered a beautiful dog named Hektor Linksrhein. Hector was the product of a few generations of selective breeding. Stephanitz bought the dog, changed his name to Horand, founded the society for the German shepherd dog, and registered Horand as the first of its kind. Horand was bred with dogs who had desirable traits. Two of Horand’s puppies were in-bred to create the well-known Beowulf. A male dog, Beowulf fathered more than eighty pups, and inbreeding continued. All German Shepherds today share a genetic link with Beowulf’s offspring. German shepherds today are excellent companions who are strong, athletic, and fiercely protective. They make excellent guard dogs and are also popular choices for police and military dogs. 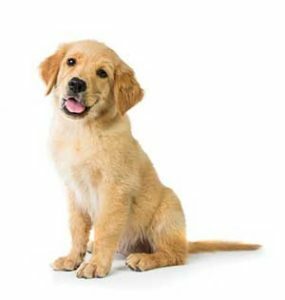 The golden retriever make a wonderful family pet, and also have a lot of desirable traits: they are excellent trackers, sniffers, and hunters. However, golden retrievers are best known for their wonderfully friendly personalities and beautiful long, golden coat. They are excellent companions who are affectionate towards children and strangers. They may not be a particularly guard dog, but there is little to no fear of them being hostile towards a friend you invite over for dinner. For many years it was thought that golden retrievers were created by breeding Russian circus dogs with bloodhounds. The breeding was carried out by Lord Tweedmouth, a member of the English gentry. However, after researching his handwritten studbooks, Elma Stonex found that Tweedmouth created golden retrievers when he purchased an unregistered yellow retriever and bred it with a tweed water spaniel (a now extinct Scottish breed). This is the currently accepted theory regarding the origin of the golden retriever breed. Bulldogs have a long and complicated history, and experts debate about the specifics of the origin. Some believe the bulldog to be the parent of the mastiff, others believe it to be created by breeding a mastiff and pug, and others still argue that both the mastiff and the bulldog are descendants of the alaunt; a now-extinct breed. There is one thing they agree about, however — bulldogs got their name from their traditional job of guarding, baiting, and chasing bulls. For the dog in question, bull baiting involves seizing the bull by its nose and holding it there. Despite the large size of the bull, its nose is its sensitive spot, so it is rendered helpless. Bull baiting was a form of amusement, but it was also a superstitious method of preparing a bull for slaughter: it was believed that a baited bull produced meat that was more tender and flavorsome. Bulldogs have a very unique appearance that differentiate them from other dog breeds. Their body is heavy, low to the ground, and stocky. They are medium-sized and have a distinctive wrinkly, crumpled-up face, meaning that even people who know little to nothing about dog breeds can pick out a bulldog from a mile away. 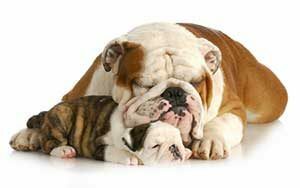 Often mistaken as an aggressive breed because of their appearance, and the history of their origin, bulldogs are actually very laidback and only need a moderate amount of exercise. They love to lounge around and snooze, and are known for possessing a sweet and gentle disposition.